Water always evaporates no matter what the temperature or atmospheric pressure is. Even in the coldest of winter, snow and ice can evaporate by a process called sublimation. They can turn straight into vapor (the gaseous stage) without melting. The vapor that escapes into the air whether by evaporation or sublimation have sufficient energy to break away from the molecular bond of the water. 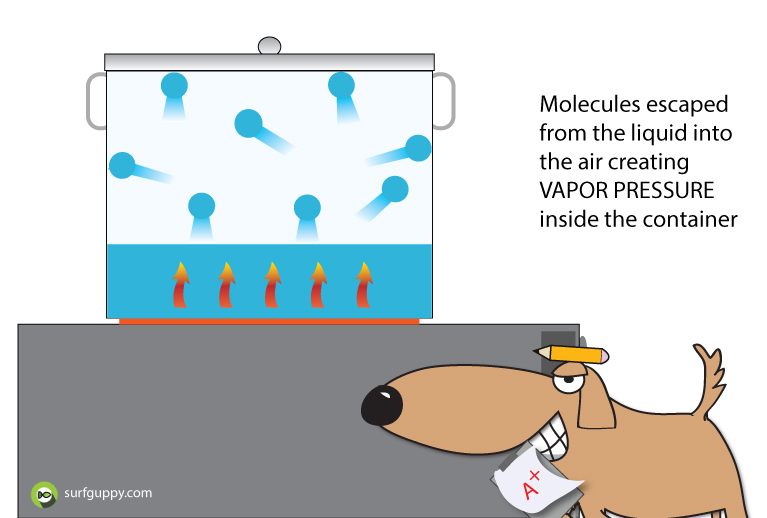 The vapor molecules are in constant motion exerting a force on the container or the air around. This force is termed vapor pressure. 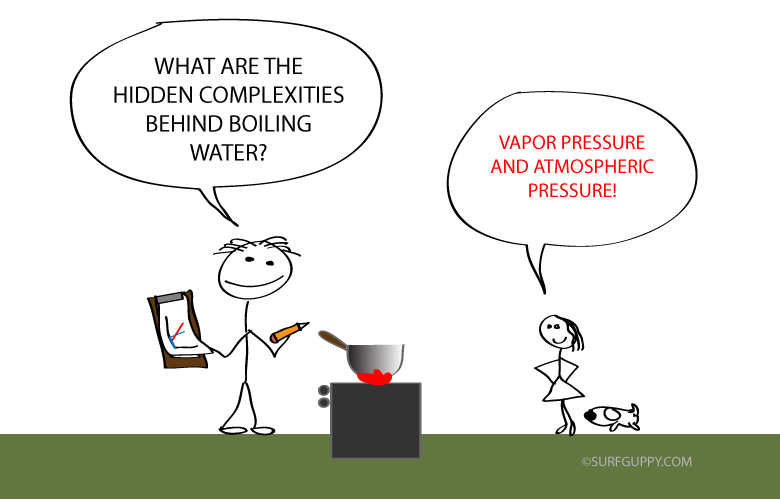 WHY THE BOILING POINT OF A LIQUID IS AFFECTED BY THE ATMOSPHERIC PRESSURE? The atmosphere contain molecules that are in constant motion. They exert a downward force on a liquid’s surface. The higher the air pressure, the harder it is for the liquid to evaporate. Therefore, the boiling point of a solvent or liquid is affected by the atmospheric pressure and boiling point is raised. 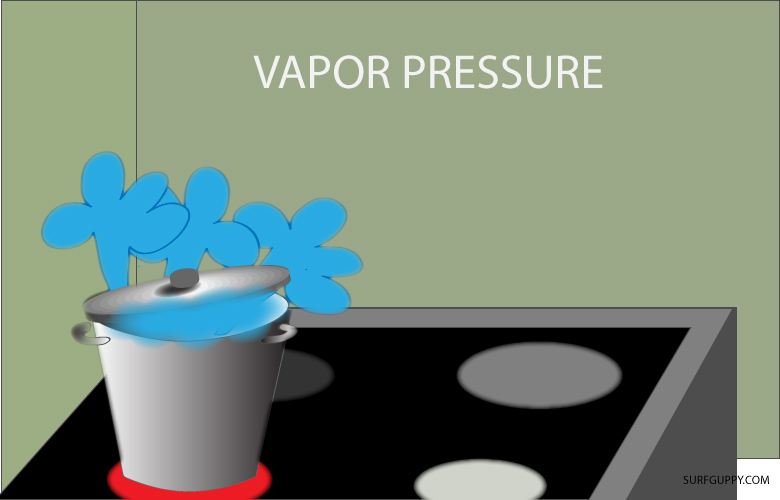 A liquid in a high pressure environment boils at a higher temperature. When placed in a lower pressure environment it boils at a lower temperature. DOES WATER BOIL FASTER OR SLOWER ON A MOUNTAIN? You often hear the saying the air is thinner on a mountain and some people get nose bleed, dizziness and nausea with altitude because there is less oxygen. If you’re put on a mountain top, the height of air (H) above you is lower than in the valley. Therefore, the atmospheric pressure you experience will be lower. 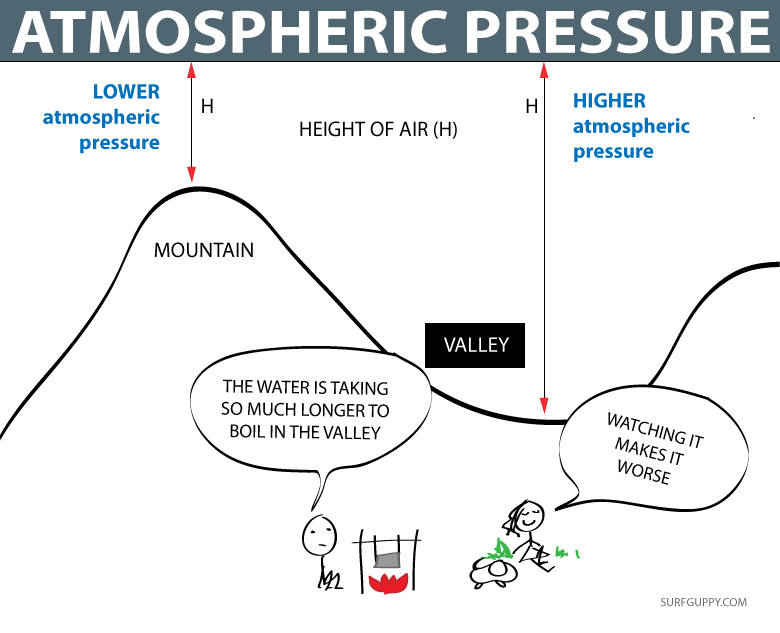 When the atmospheric pressure is reduced, the water molecules on the surface of the water need less energy to bounce upwards to escape into the atmosphere. Therefore the water is able to boil at a lower boiling point. Evaporation also takes place at a faster rate. 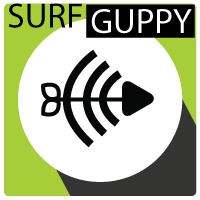 I found your info and thought it was very well done and easy to understand. I teach 7th graders and they have a hard time with these concepts. I found your pictures and explanations very easy to understand. Well done!! Vickie, thank you for your feedback it’s very much appreciated! If you have any thoughts about any chemistry topics you would like us to illustrate please don’t hesitate to contact us.